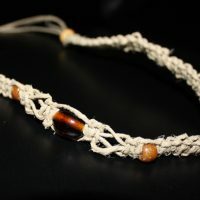 View cart “Cancer Awareness – Hope Hemp Necklace” has been added to your cart. 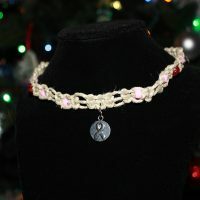 This 16.5″ hemp necklace features a stunning rhinestone-encrusted breast cancer awareness ribbon. 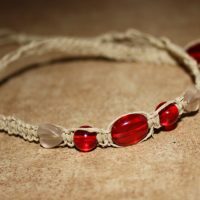 Offset by four decorative pearlescent beads and a delicate open knot pattern. 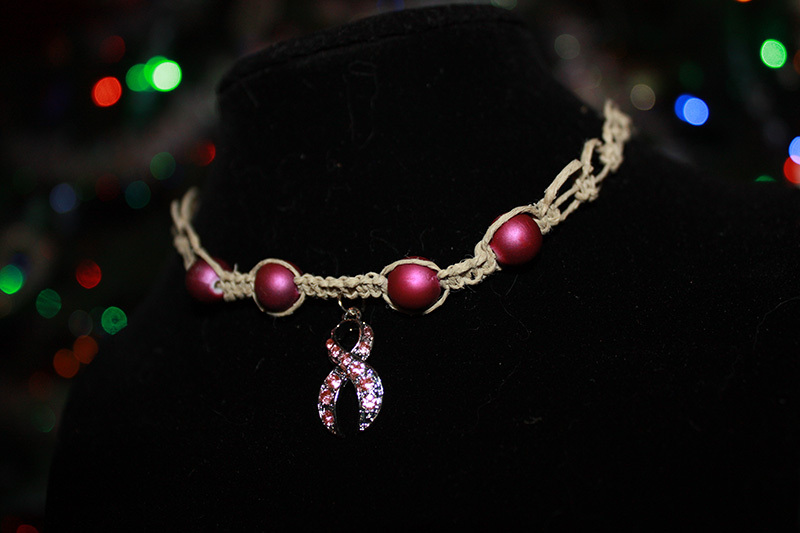 Be the first to review “Breast Cancer – Ribbon Necklace” Click here to cancel reply.